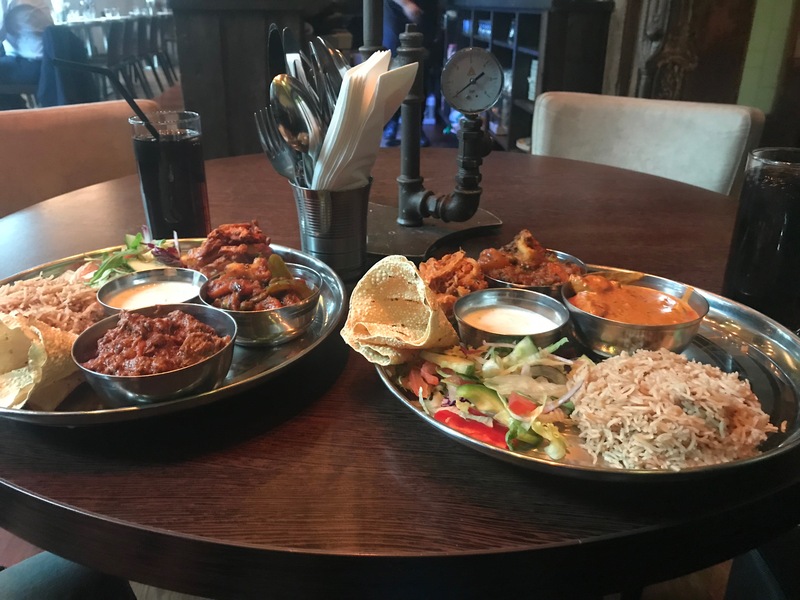 5 food places in Manchester you need to visit! As you know I’m from Manchester and I love it. There’s so many things to do, places to eat at and it’s overall such a great city to be from. 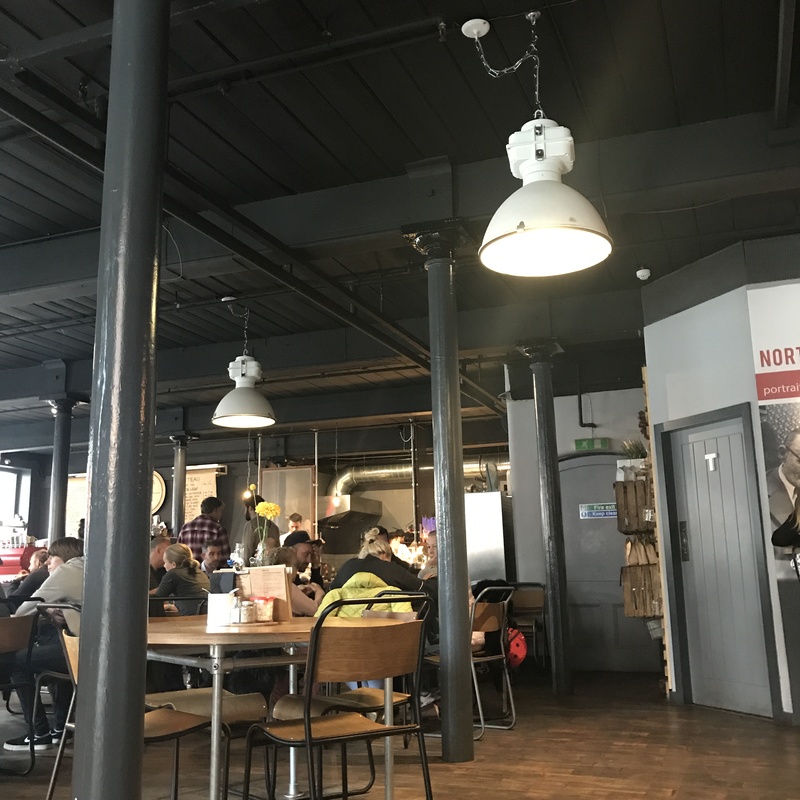 For Today’s post I thought I’d share 5 of my favourite places to eat at. 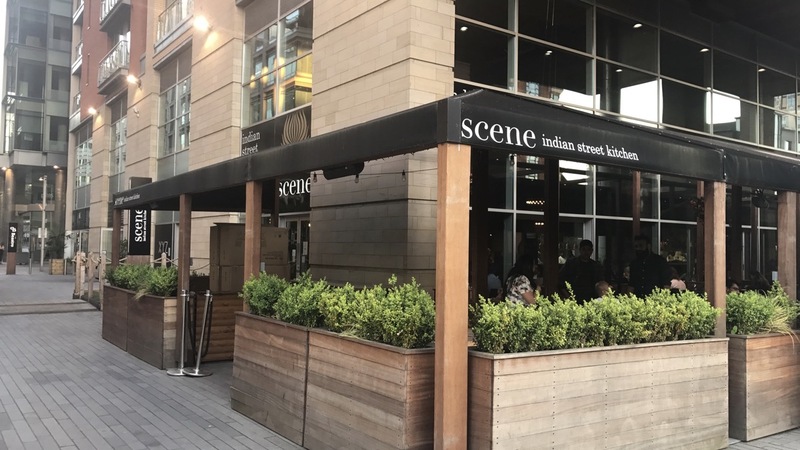 Scene Street Indian Kitchen Spinningfields – Scene is a Indian Kitchen and is located in Spinningfields. I’ve been here for lunch and I can say I love their lunch menu. I’ve also been here in the evening and the atmosphere is so good. I love the vibe inside the restaurant the decor is very old school and retro. I do love Indian food and I can say it’s one of the best Indian restaurants I’ve been to. So I’d definitely head down if you love Indian food or just want a nice meal. 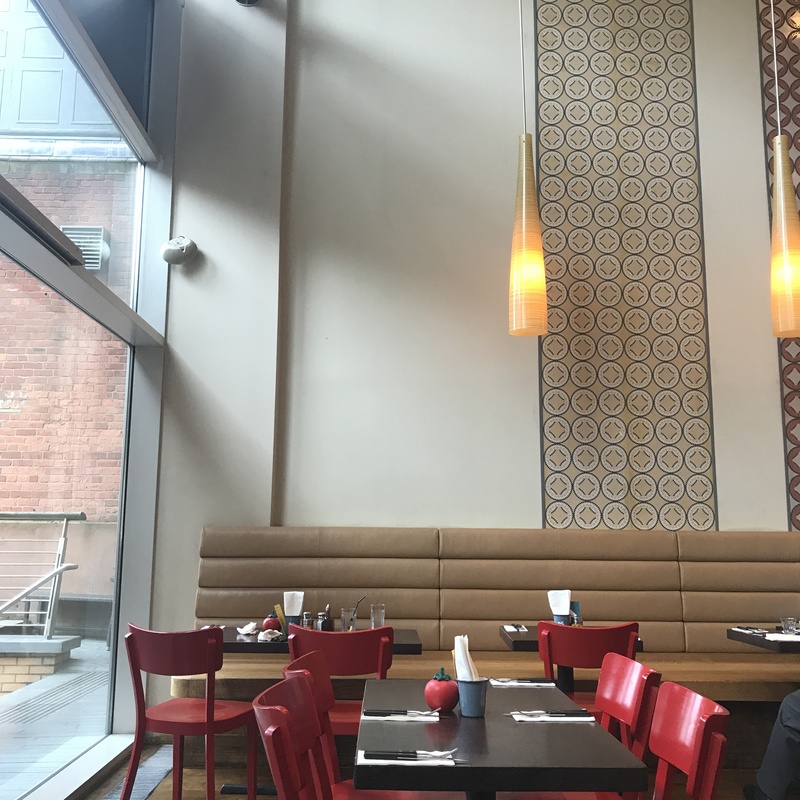 Gourmet Burger Kitchen Spinningfields – As you may or may not know I do love a good burger. 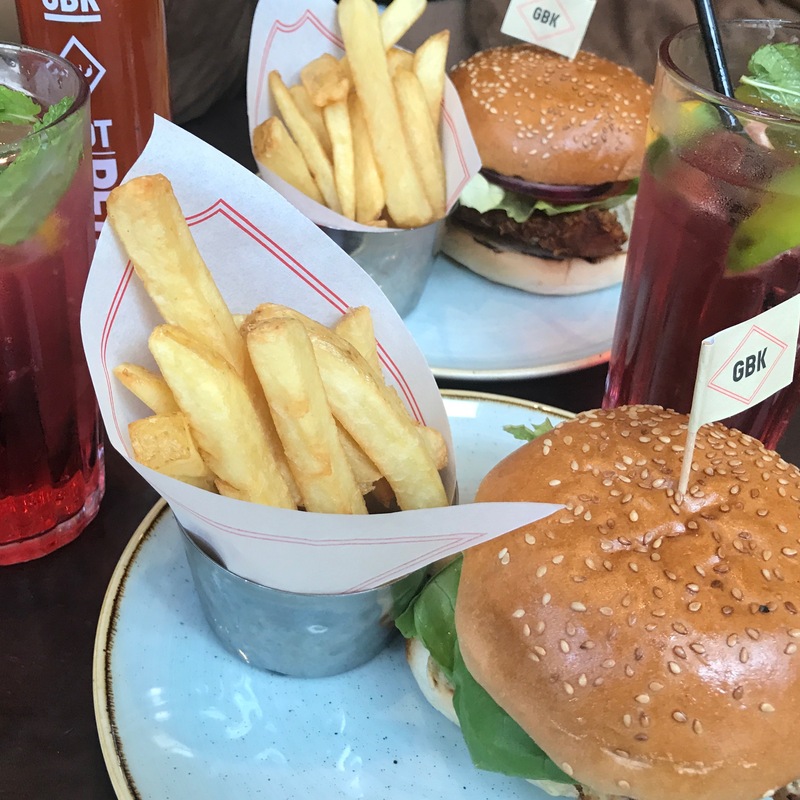 One of my favourite places for a burger is Gourmet Burger Kitchen. These are located nearly everywhere and the lunch menu is a definite winner as you get so much for your money. So it’s definitely worth it, plus the burgers are one of the best I’ve tasted. This is more casual if you wanted to grab a bite for lunch and maybe in the evening. 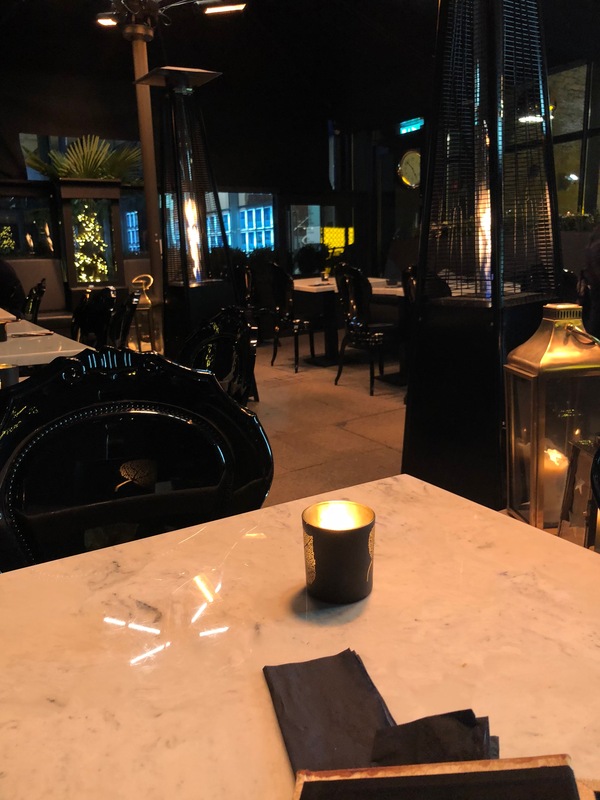 Opium Lounge – Opium might just be my favourite place in Manchester. It’s located just near the Great Northern Warehouse next to All Star bowling. It does the BEST pizza as you can probably tell. The interior and the atmosphere inside the restaurant is gorgeous! 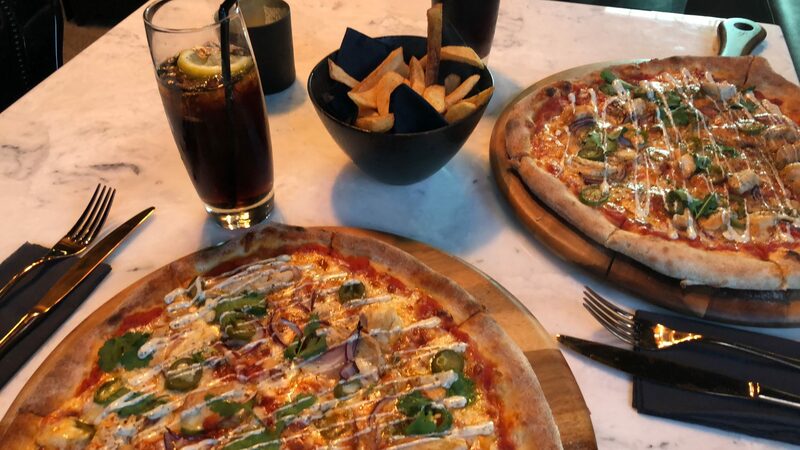 As well as for lunch I’ve been in the evening and it’s such a good place to go for a meal and drinks whether that’s with family , friends or co-workers. 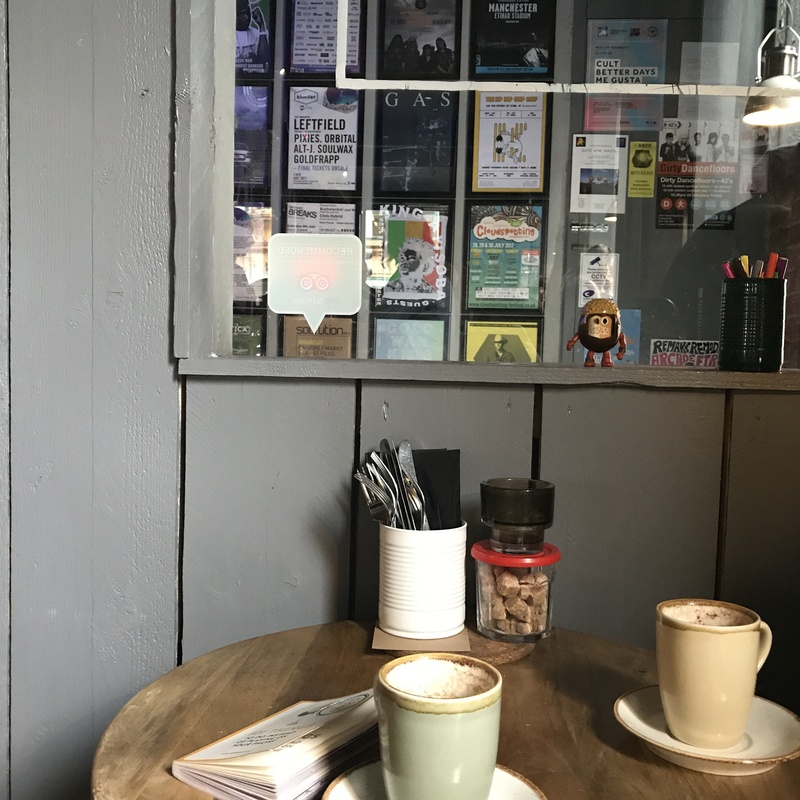 Ezra & Gil – Coffee shops are one of my favourite places for a catch up. I mean a coffee and good company you can’t go far wrong. Ezra and Gil is located in the Northern Quater and as you know it’s one of the coolest parts of Manchester – well I think anyway. You can pop into Ezra and Gil for breakfast and even brunch they do the best brownies I can assure you. 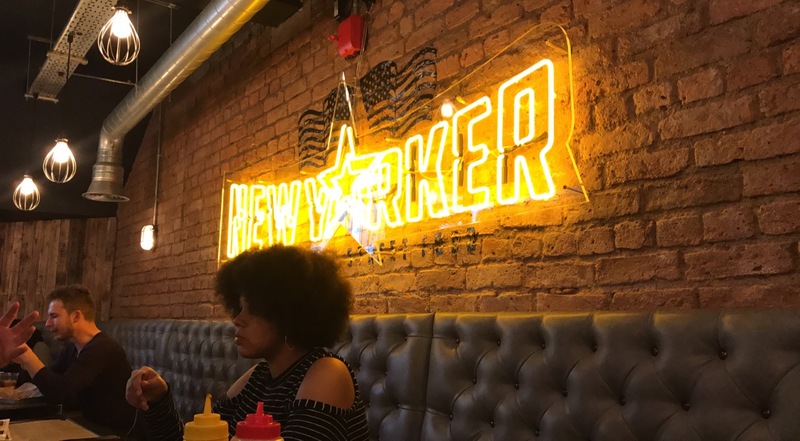 New Yorker American Street Food – As I previously mentioned I love my burgers. New Yorker is one of my favourite places for street food. The interior of the place is so cool and urban. I love how they serve their food as well as the whole experience of ordering your food. I’m not going tell you, you’ll have to visit and see how you can grab your food. They do the best milkshakes as well as desserts. I mean if it’s a cheat day this is the best place to be. What is your favourite food place? Comment below. After a busy couple of weeks I’ve finally been able to sit and get some time to myself, to do both things I enjoy. Blog and scrapbook. I mean there’s nothing better to wind down with in my opinion. 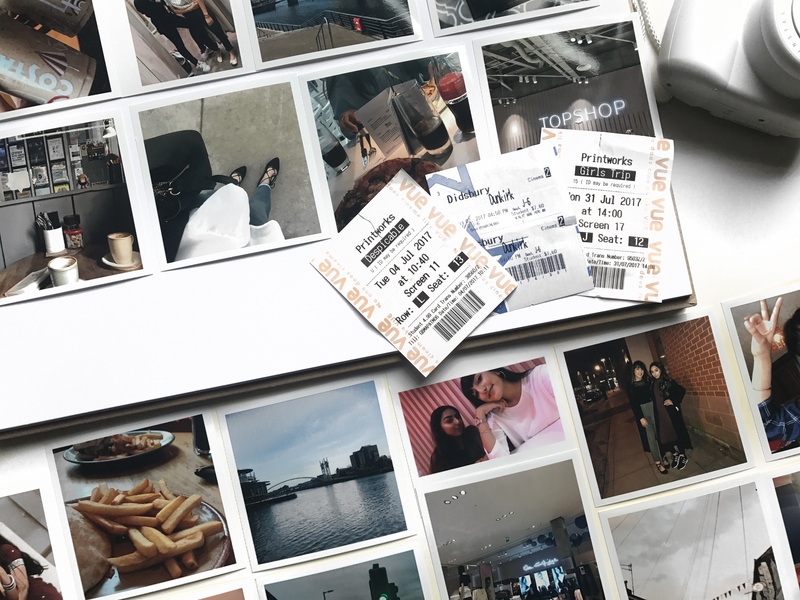 It’s just so heart warming reflecting on memories, things you’ve done going through a bunch of train tickets, cinema tickets (although my bank account hates it) and polaroids. book. With the help of Printiki they kindly offered to send me some prints of some of my favourite photos to add to my scrapbook! I went for the medium size square prints with a glossy finish. I honestly couldn’t have made a better decision the photos came out exactly how they are on my phone not distorted at all and the glossy finish on them makes them even prettier. They’re the perfect size for my A3 scrapbook and I can collage them and even add captions of like the dates and surround them with various little tickets and washy tape. 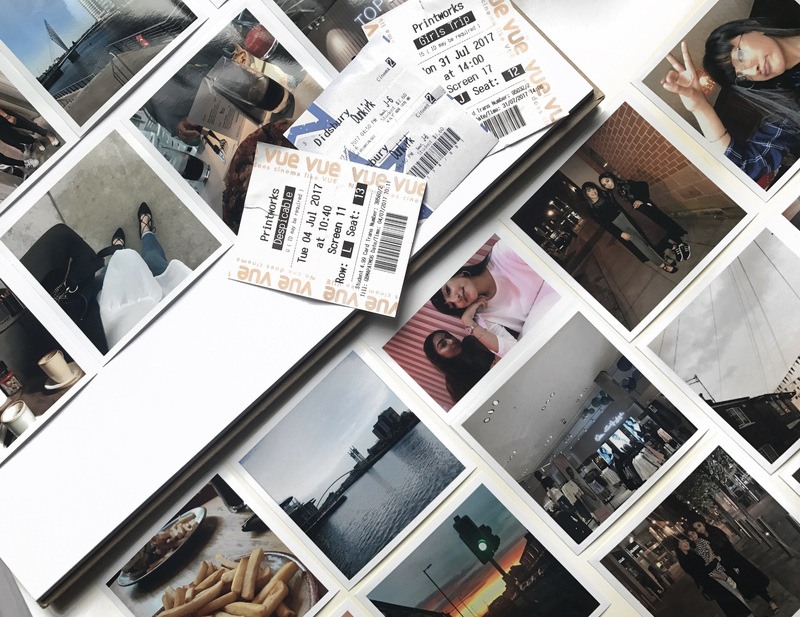 I’m not even exaggerating when I say I love reflecting on memories and fun times it’s one of my favourite things to do hence why I decided to start a scrapbook to ensure no memory ever goes a miss. 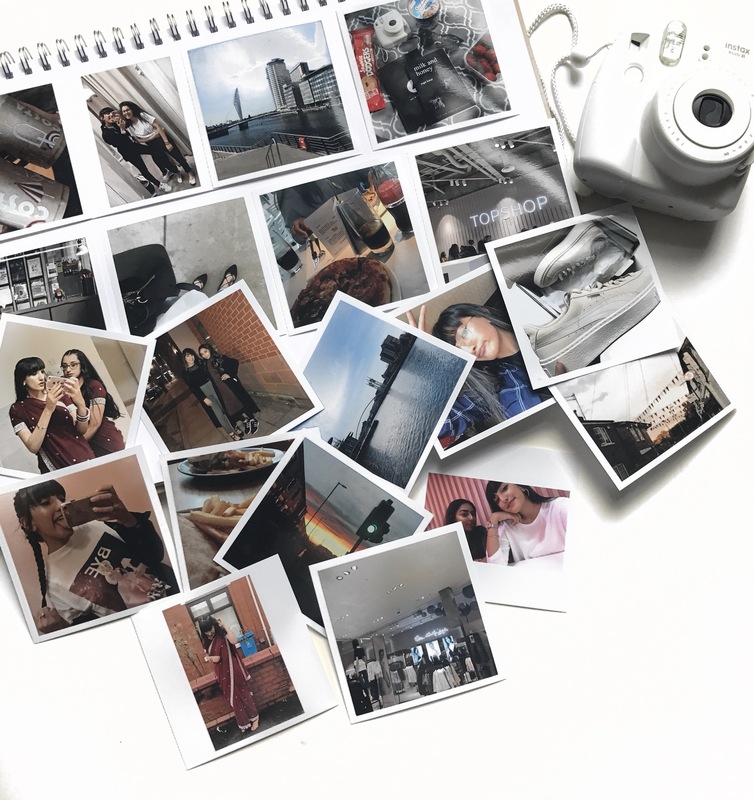 I can’t recommend Printiki instagram enough too, they have the perfect inspo for all other ideas to use photos whether that’s in a book as a gift or wall art it’s all so beautiful. What’s your favourite way to reflect and capture on your memories? Comment below. After a stressful month of ups and downs of emotions and determination. I’m back, where I’m happiest – writing. So I thought I’d start back with something quite exciting and something a bit different which I don’t usually do. 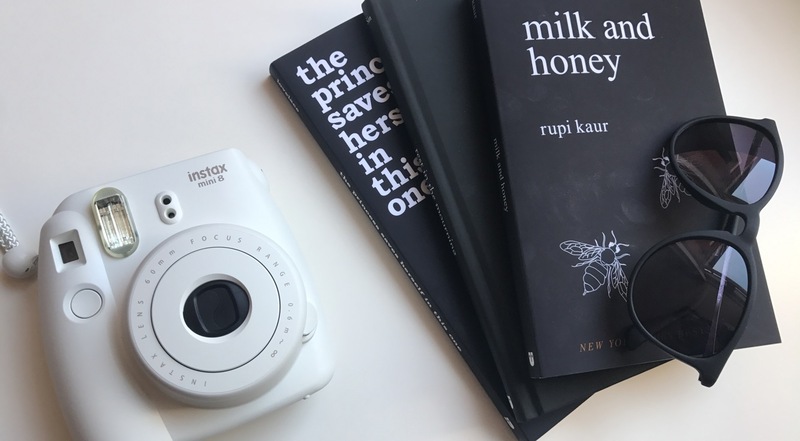 Recently I ordered some books because this summer there’s a large selection of books I intend to read so I thought why not grab some to start my summer with. Hence I thought I’d share what my first couple of picks are. I ordered the books off Wordery which is an online bookshop providing you with over 10 million books at the lowest prices. But it gets better also with free shipping to over 100 countries. 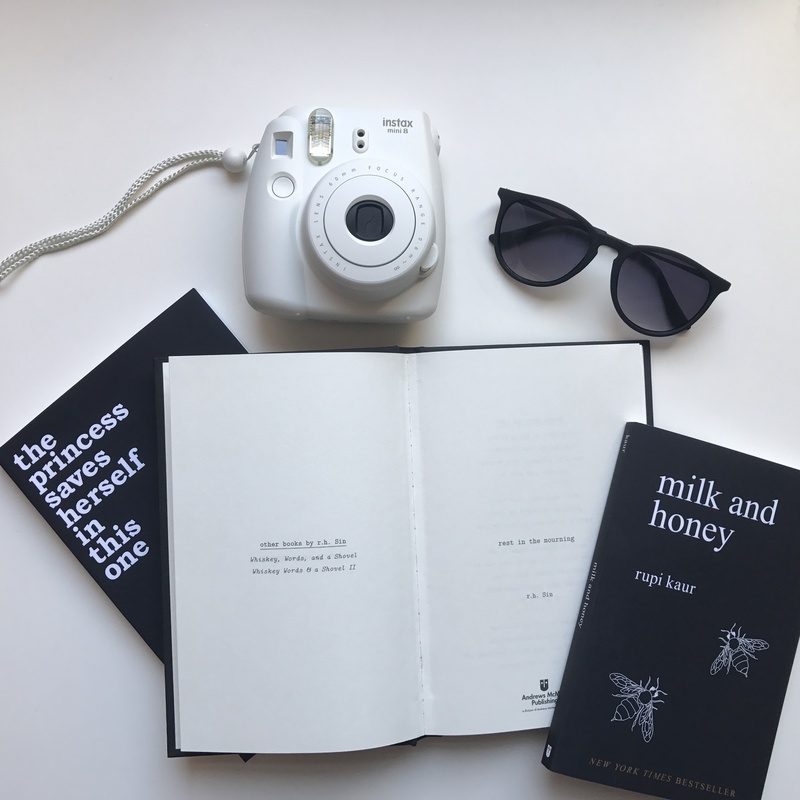 Milk and Honey | Rupi Kaur // I have wanted this for so long, seeing everyone post their favourite poems from it made me want it. So I finally went for it. Honestly I couldn’t have made a better decision. 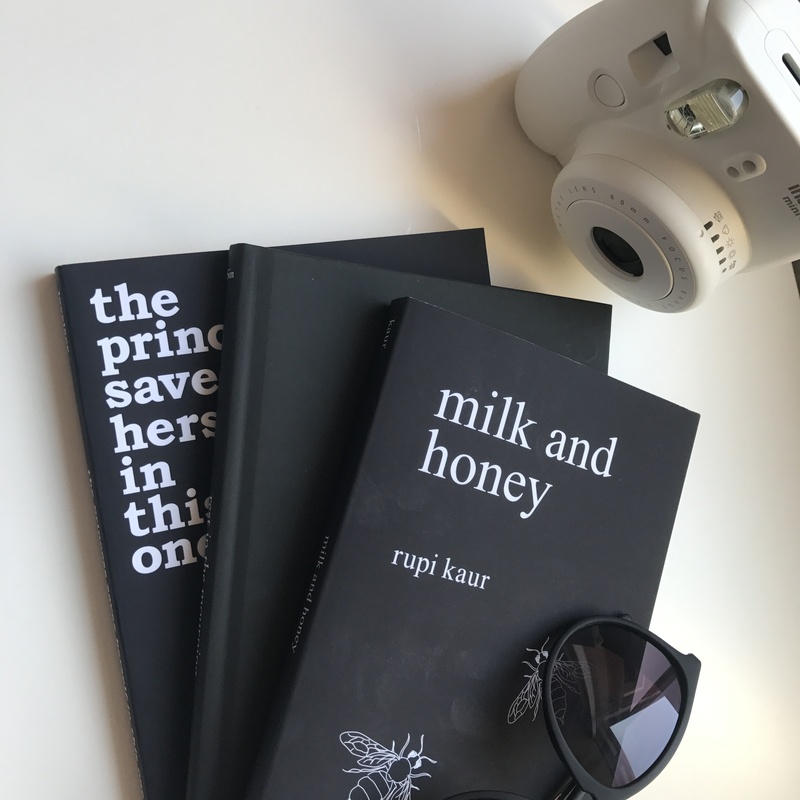 It covers issues such as pain,heartache,love and femininity. Its broken down into 4 chapters and each chapter has such deep meaning behind it. I’ve loved reading it and can’t wait to read it all over again. *Rest in the Mourning | r.h.Sin // I’m half way through this and I’m in love. There’s just no other way to explain it. It written by best-selling author of whiskey, words and a shovel which again is another great read. Rest in the mourning is about self-love and self-care and consists of conscious thoughts and emotions. Another book I’d totally recommend. *The Princess Saves Herself In This One | Amanda Lovelace // Finally, I’ve not got round to diving into The Princess Saves Herself In This One just yet but I cannot wait to do so. As you all know I’m a sucker for a fairy tale as this is why I had to pick this up as it’s about writing your own ending being in control. It explores love and empowerment etc and I cannot wait to get stuck in. 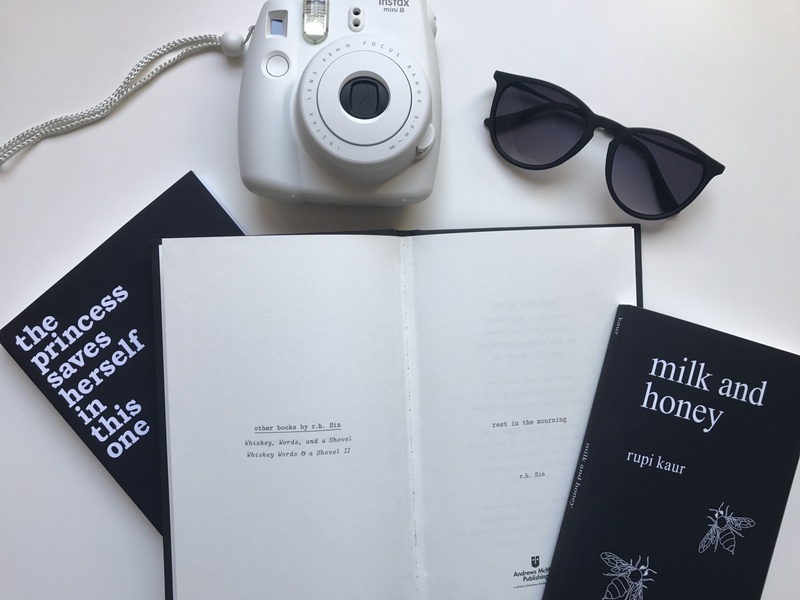 If you’ve enjoyed this post do be sure to follow me on Twitter [@KiranAlix] for updates with my favourite parts of these books! Pink Soda Sport Event&New Collection! Hey guys, I hope your all well and feeling as beautiful as the weather; because I know I am! 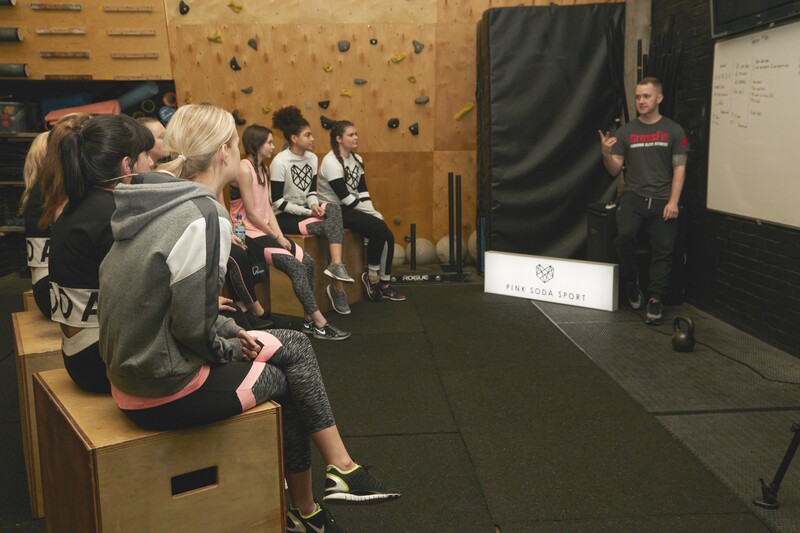 Last Thursday, I was invited to come down to Train in Castlefield for a cross-fit session with Pink Soda Sport lots of other bloggers. This was such exciting event to be attending. During the event I got to wear my pieces (as in the pictures below). They were super comfortable to wear and easy to work out in whilst looking your best! 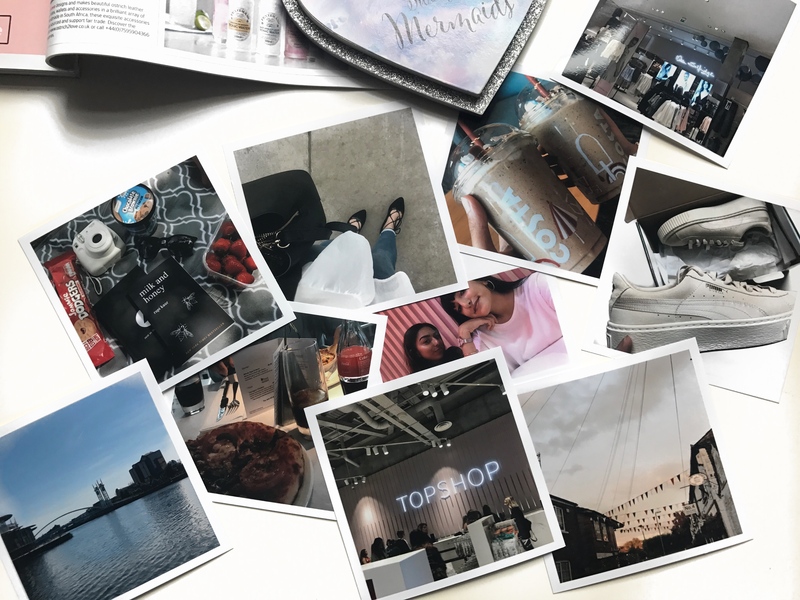 It was so lovely meeting bloggers I hadn’t met before, we had such good session even if it meant I couldn’t move the next day haha! As becoming healthy and being fit has become apart of my daily lifestyle this session was great to enhance both my strength and stamina. Learning how to do new exercises was really beneficial even though I hated the burpees!! Pink Soda Sport lifestyle leggings. Pink Soda Sport mesh t-shirt. 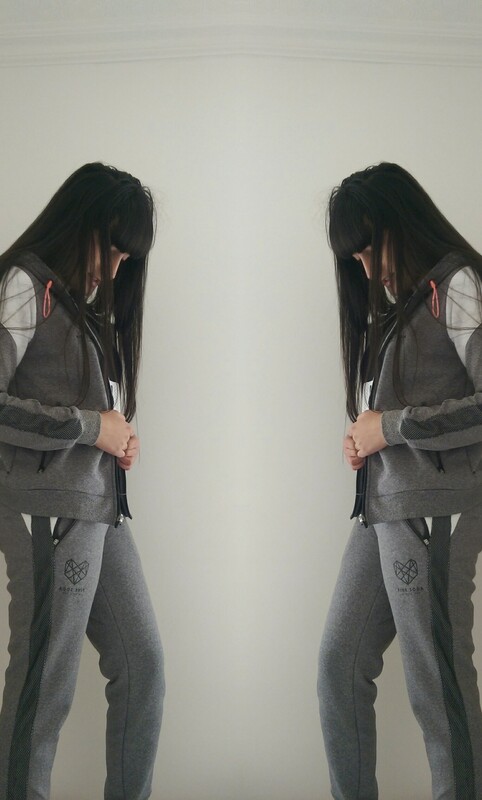 Pink Soda Sport panel joggers. 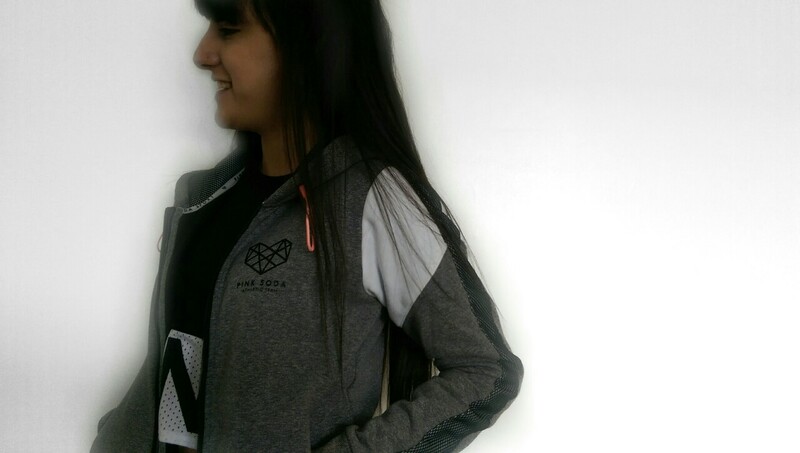 Pink Soda Sport panel zip through hoody. The new Pink Soda Sport collection has so much variety from sports bras to shorts. All the pieces I’ve worn whilst working out were comfy and aswell easy to do most workouts also in the gym!! All in many colours, with such good designs! Check the collection out here. What are your favourite pieces? Comment below. Hello my favourite people, I hope your having a great week so far. College is draining me as usual but guys I’m trying my hardest ahhh! 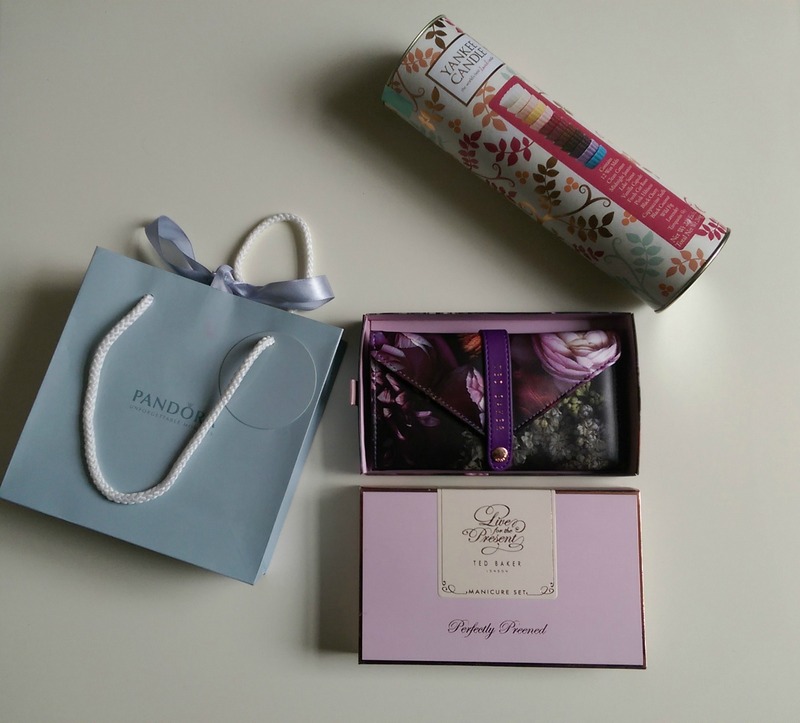 Today I thought I’d share with you what I’ve got my mum for Mother’s Day as it’s on Sunday plus I’ve got some recommendations if your still unsure of what to purchase. I came across the site Qwerkity and it has a variety of gifts for both men and women it’s such a good variation of gifts. From categories such as gadgets, home and clothing etc. Especially for Mother’s Day there’s so much choice that it takes ages trying to decide. 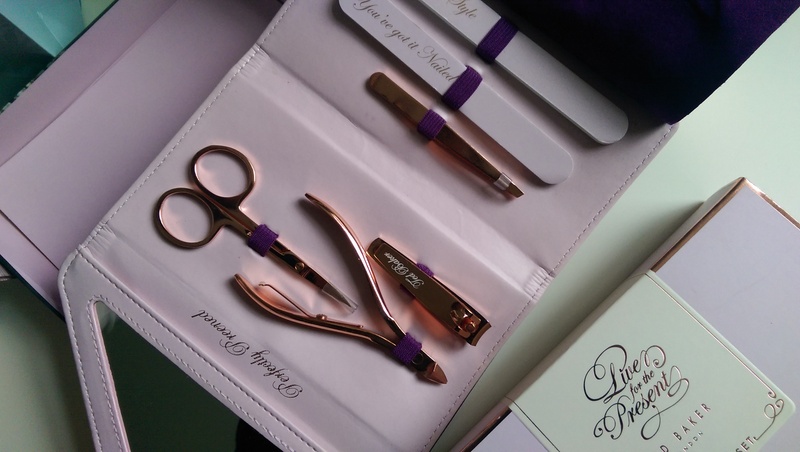 At the end of a long browse I decided to go with this: Ted Baker Manicure Set as my mum loves taking care of her nails and I just thought this rose gold coloured contents were so pretty and the packaging is floral which is gorgeous it’s unreal. 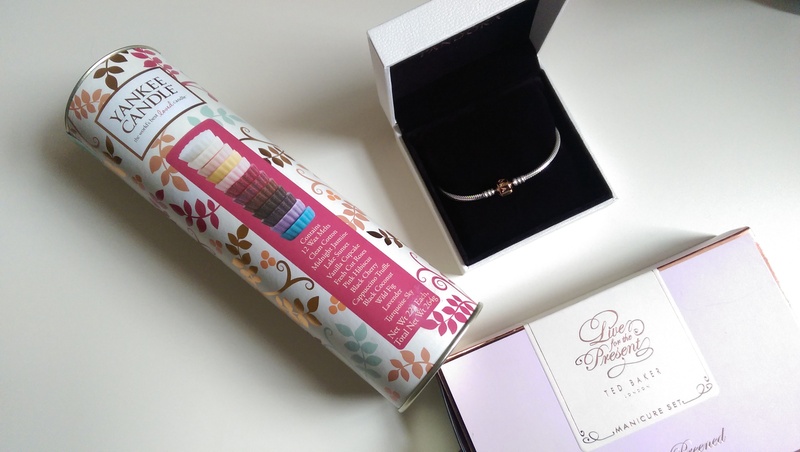 I thought the simplicity of it was perfect as my mum loves the simple things, which is why I also got her a Pandora bracelet – which I think is so simple but yet has a sentimental loving feeling behind it. 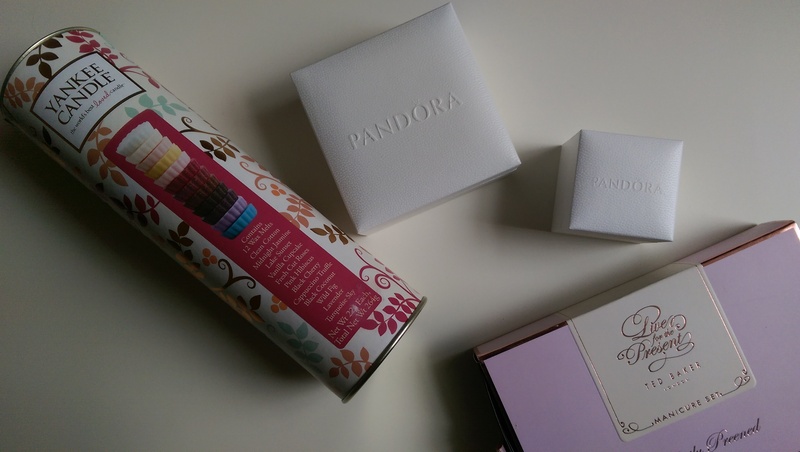 Plus a Pandora ring which similar to the bracelet I think it again has a meaning behind why you purchase which is something I love about Pandora. As well as some yankee Candle melts as she loves candles and this is awesome as it comes with 12 different scents of candles. I also need to get a bouquet of flowers which I’ll purchase on Saturday so they remain fresh as well as some Thorntons chocolate. 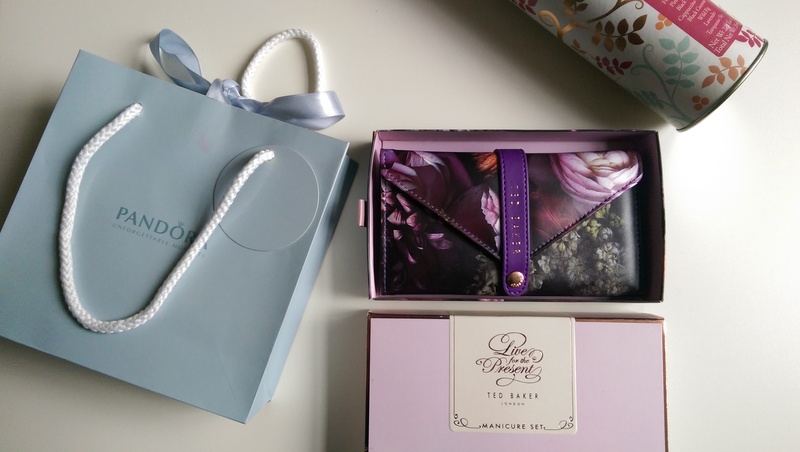 What have you got for your Mother’s? Comment below. Steps towards a healthy lifestyle! I hope you guys are well and as happy as I am in this horrible British weather. It’s been a long week and college seems to be getting harder and harder but I guess you’ve got to get though the rough days to see the good days right? 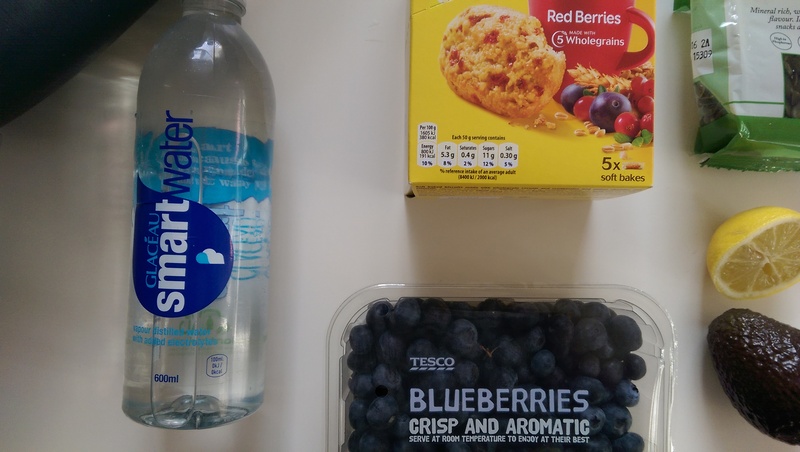 So today I wanted to start a new aspect to my blog as you may have guessed it – a healthy lifestyle! As a main new year’s resolution I set myself to stop eating junk as well as getting fitter. I have stuck to it so far with eating more fruit as a substitute to chocolate. Also, ensuring I exercise and walk a lot everyday and hit the gym once a week too. All these little pieces add up quite nicely to making you much healthier and increasing your activity of exercise. So from now I will share every month or so my top tips for staying healthy and work outs to ensure you are maintaining that exercise. As I’ve mentioned previously I’m not an expert of any sort all tips are based on experience and have worked for me so I’d think it’d benefit you therefore I’m sharing them with you guys. 1// Ensure you start your day with a small but powerful breakfast – Breakfast is the most important meal of the day. It gets you alive and awake for your long day ahead so its crucial you feed your system with powerful foods. 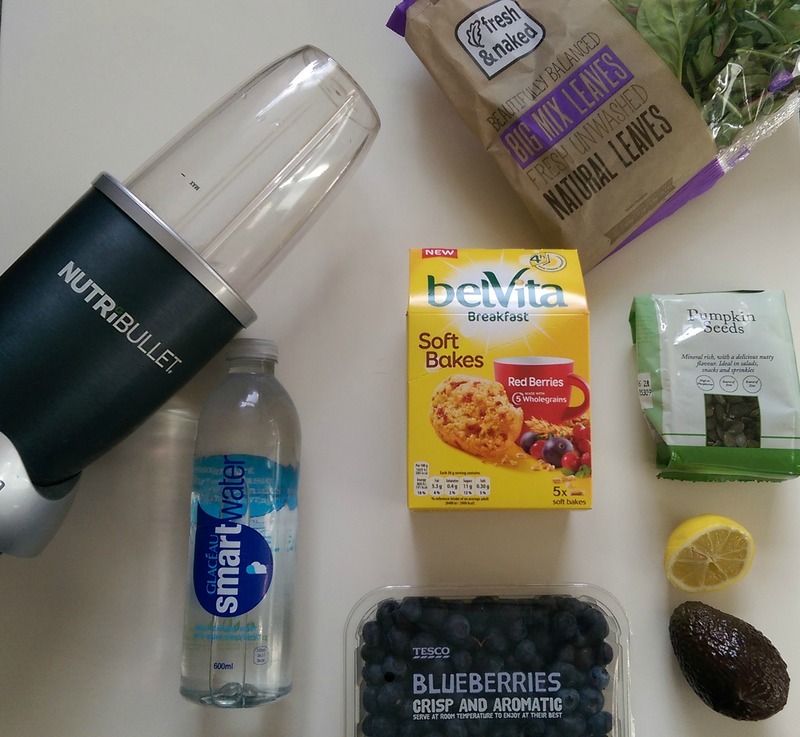 A perfect idea, which is also a trend right now is a power drink made in the nutribullet. 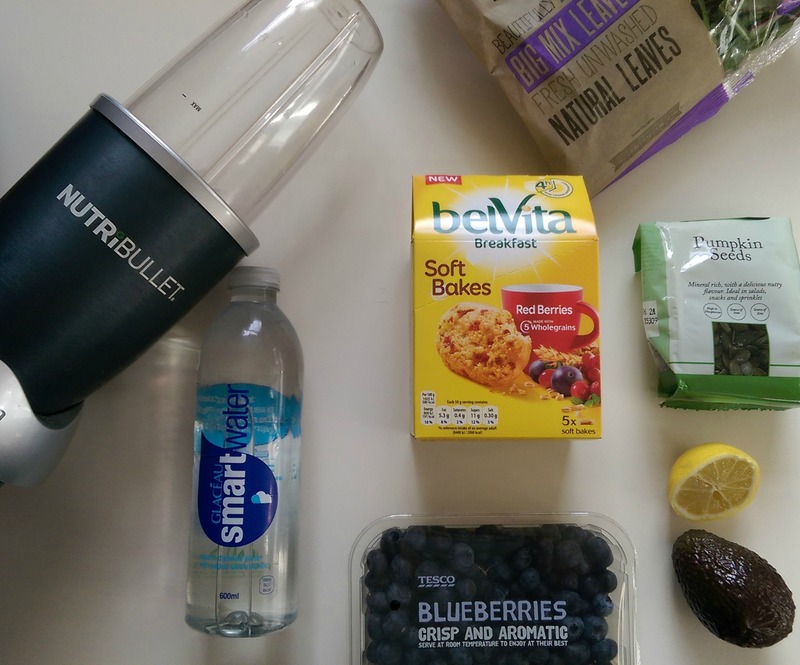 This is the perfect solution to adding a variety of healthy components into one. Firstly, start by adding some of your favourite fruits like blueberries,mango and pineapple in small proportion then add a little salad so this could be rocket or spinach whichever floats your boat. Then some key segments would be a few nuts, pumpkin seeds and gogi berries which are an amazing trigger for the brain and to top it off add some water. 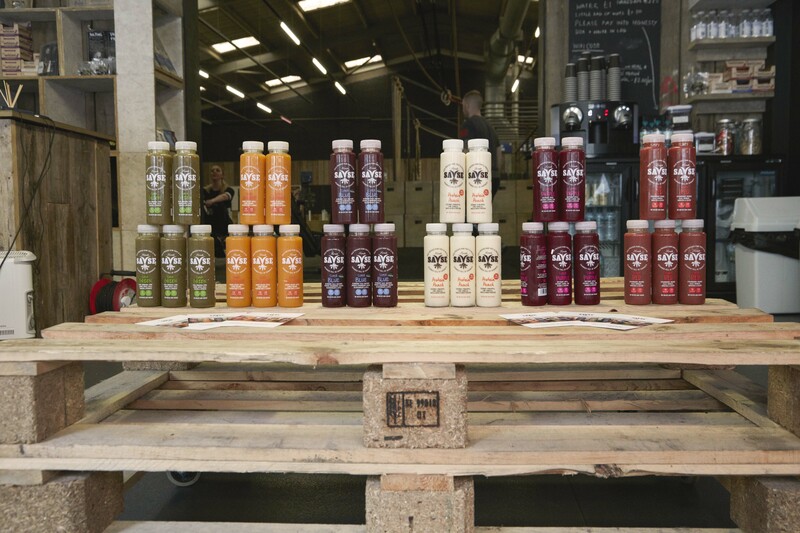 Just for breakfast you’ve got your five a day as well as water and brain food – its a win win really! 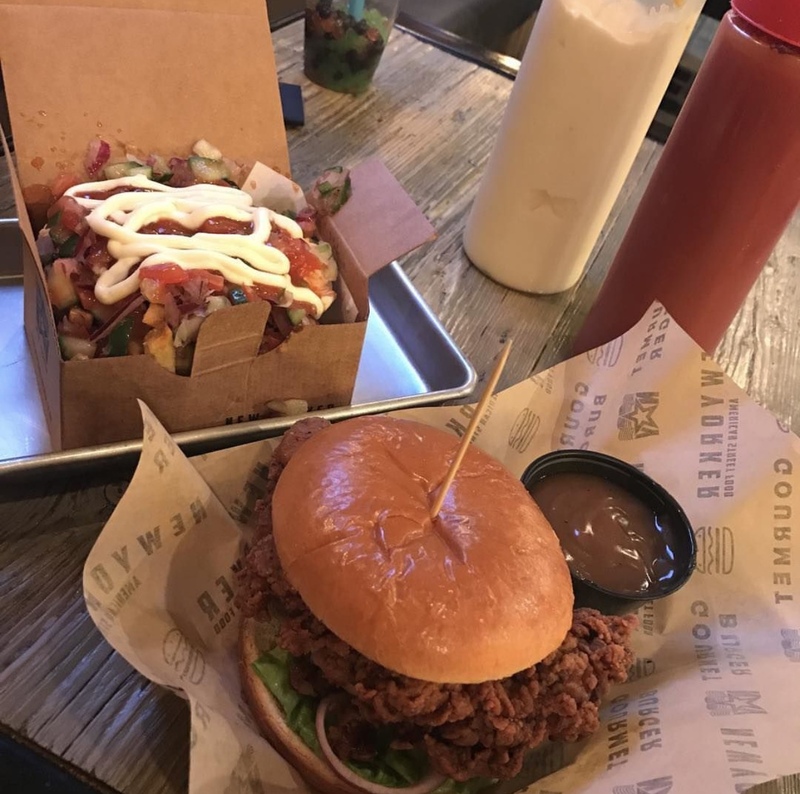 2// Have frequent but small meals – It’s crucial to keep your stomach happy, however not too much so the best thing to do is have small meals containing healthy foods this could be either a salad with avocado, tuna and even meat – which is my favourite! Also, add a squeeze of lemon as its good for loosing weight. This could even be your favourite meal but just substituting anything unhealthy with something healthy. 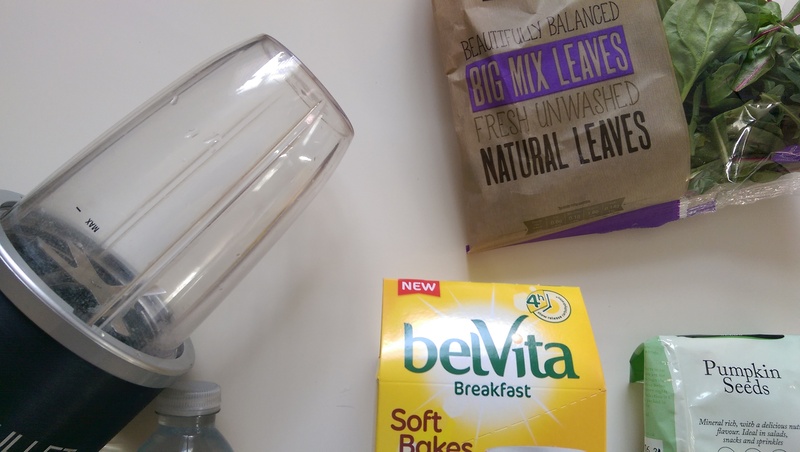 During the day a perfect snack or just something to keep you going would be a belvita breakfast biscuit. 3// Workout & Walk often – Most people don’t see walking in the light that it should be seen as predominantly its one of the easiest ways of burning calories and the easiest style of exercise. Instead of getting in the car to reach a destination close to you just walk it’s perfect to get some fresh air and ask a few friends to go on walk its a good way to socialize and do good for your body. Workouts have easily become one of my favourite things to do everyday as if your like me walking can seem bland but working out you can go onto Youtube and there is a variety of workouts you can follow and once you’ve gotten the hang of it you can make your own to do whilst listening to your favourite music. 4// Go to the gym – Most people prefer to go to the gym rather than working out but whatever suites you as a person is best. 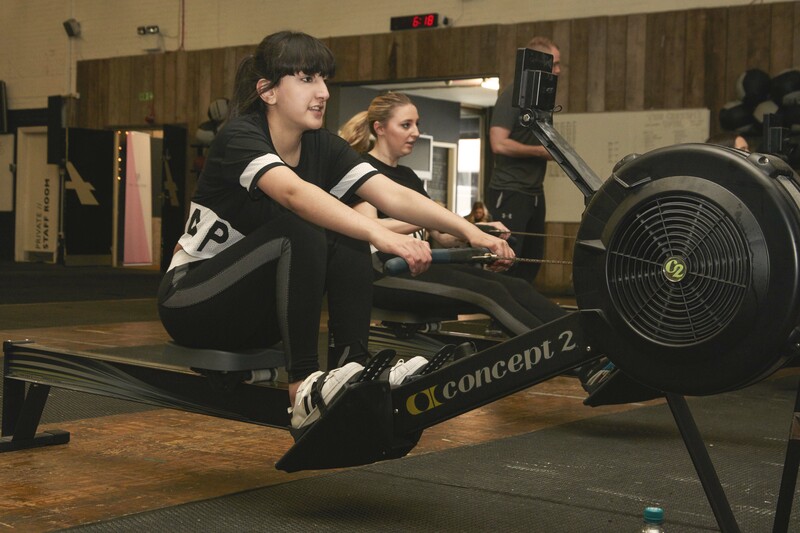 However, the gym can boost your health and muscular strength too so even if it is once a week your still getting that extra strength whilst working on the components of your body you wish to improve. These are all a few tips I’ve learnt across the past month, I hope they can help you! What’s your favourite way to stay healthy? Comment below.